Upper Mandeville is home to over 300 more than our homeowners. 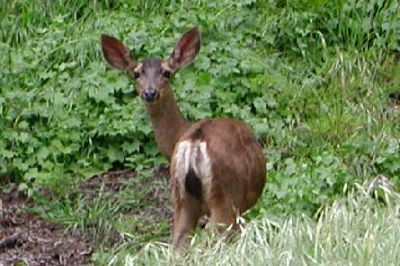 We share the canyon with a variety of beautiful wildlife creatures. It’s common to see coyotes, deer, owls, foxes, bobcats, raccoons, opossums, skunks, rattlesnakse and a host of birds on a regular basis. All who live or visit our canyon share the responsibility of protecting our wildlife. The road is their greatest hazard. Please be extra cautious on the roadway and expect the unexpected in the upper canyon. Drive with care. Poisons are another great threat to our wildlife. Insecticides quickly find their way up the food chain, so poisoning rodents may rapidly result in a dead owl. Attempt to use natural repellents, common sense and safe materials at all times.